Three Essential Qualities, Women of Faith Speakers Demonstrated to this Man! Recently I attended an event called Women of Faith. Yes, I know I am not a woman but I have faith, so I partly qualify. I came away amazed at the examples of excellent communication I had seen. As a professional speaking consultant and trainer I evaluate communicators. I’m always looking for ways speakers can improve. In fact, I have never stopped trying to find ways to improve my own speaking. But, something happened. I got so caught up in the messages that I forgot to critique! Instead my life was changed. THAT is what good communication does……. it changes lives. As I flew home that I asked myself , “What qualities did the Women of Faith presentation team have that made them such powerful communicators. They connected with the audience. They shared their stories of walking the difficult paths of life. No easy, trite answers, just personal accounts of the journey. They spoke directly to the needs of women, but in doing so spoke to the needs of humankind. This quality of connection is closely linked to another quality they exhibited. They laid it all of the table, the good the bad and the ugly. They freely confessed that the in the middle of overwhelming storms, it is the grace and love of God that provides hope. Some speakers were scared. One lost her place. Words were mispronounced. Unexpected emotions surfaced. Yet these gifted communicators held the audience, including me, in the palm of their hand. They laughed at themselves and in the process exposed the lie that perfection is a requirement for great communication or for living life. I don’t think this kind of vulnerability can be taught. It is a gift that pours out when men or women finally feel safe enough in Christ to tell the truth. I am convinced that only the strong are capable of being vulnerable. I’ll save that discussion for another blog. If your image of Women of Faith is a bunch of ” church ladies” soothing each other with, “Well isn’t that special,” your dead wrong. I laughed as hard at this conference as I have anywhere else. The organizers and presenters are BOLD individuals who don’t mince words, and just plain have fun. If you are a woman, find a conference near your home and sign up! If you are a man, pony up the money and give your wife this amazing experience as a gift. If you have benefited from attending Women of Faith, I would love to hear your comments. If you would like to develop your speaking skills, check out our next Dynamic Communicators Workshop in Beaver Creek Colorado. I would love to see you there! I attended the one in Charlotte this weekend. I laughed, I cried, I was exhausted. I’d do it again in a heartbeat. I can’t really describe how awesomely amazing it way, except to say that I can’t wait for next year! Can’t wait till we see you again. Keep telling your story! Hey Ken, I have been attending Women of Faith for 6 years now and can I just say it is truly the BEST weekend ever, I look forward to it every year. The speakers are so real and honest. I must say I lOVED hearing you this weekend in Charlotte. Ready fore next year! I’ve been blessed to attend a number of Women of Faith weekends and a one-time Leadership conference. 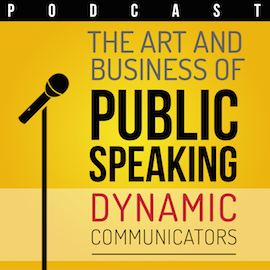 Not only are the regular speakers dynamic, but they’re great at social media and integrating messages in their presentations, blogs, books, tweets and more. Those I’ve met at events have been unfailingly gracious and genuine. Their love and affection for one another shows in all their communications .. They truly walk the walk. Following WoF I’ve expanded to Thomas Nelson, Michael Hyatt .. And even you! .. As someone who is very skeptical about televangelists, I have come to place a great deal of faith in Thomas Nelson and the Women of Faith team .. They’ve helped me in my Christian walk, as they have so many others. Thank you for your comment. I will pass your kind words on to my friends at Thomas Nelson as well as the WOF team. OH wow. I’m so glad you went and that you get it. I remember my very first WOF conference in 2003. Not to sound I don’t know – stero-typical but it changed my life in good ways as a communicator as a bible teacher and as a woman. What struck me the most was they told the truth. 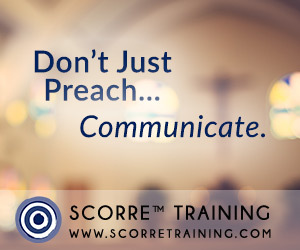 Not a lot of Christian communicators do that — they tend to deflect from themselves and just focus on the teaching or steps to this or that. WOF is different. It is not a sugar coated over spiritualized Christian message. It’s real, it’s messy, and it’s hope-filled. I invited a group of gals to come with me again last year and loved it when the gal sitting next to me would elbow me in my ribs lamenting how Sheila Walsh was “in her business.” I just smiled. Seriously. Patsy, Sheila, Luci, et al have been in my business since I started going. This conference is my gift to me every year. Thanks for your thoughts Ken. You got me curious about the only the strong can be vulnerable comment. Can’t wait to see that post. Keep watching for the strong / vulnerable blog. Thank you. I always enjoy your comments. I have so enjoyed reading your reflections upon the Women of Faith conference that you attended, Ken. I surely agree with all that you have said about the qualities that enable these WOF communicators to be so well received. I have attended several WOF conferences, but finely stopped going when, at the last one, I decided that the speakers, while skilled at speaking, were much more about a promotion for their various published books and assorted media pieces. 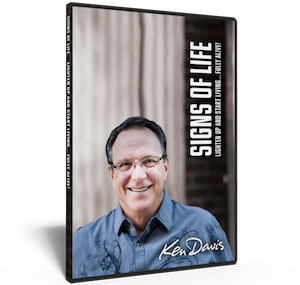 On the other hand, your presentations, Ken, are foremost about your message and your phenomenal ability to keep us laughing, while we grow closer to the Lord. Your format, your style, your ability to connect with audiences cannot be beat, Ken! Keep it up for as long as you are able! The world needs you! You are THE best! Thank you Gwen, The sound of laughter is the sound of an open heart. The WOF conference in Charlotte was my first one and it was amazing. I loved how one minute I was laughing, the next minute crying, then laughing again! I can’t wait to go back next year and really hope you’re a part of it, Ken! I hope so to. I love being involved. I immediatedly connected with being free enough to tell the truth. This so rare in today’s world. The truth is hard to come by for a lot of us. My fear is I’ll be ostracized for being truthful. I look forward to the day when I’ll be able to attend a WOF conference. I believe it will set me free of some of this guilt I carry. Keep doing what you do. Just your blog is meaningful.This is the first time I’ve replied to any blog. You touched something I have lost; the ability to be myself. How much I appreciated your comment. The message of Christ that is so profoundly and boldly presented at WOF is all about the freedom from guilt that is available through Christ. My own walk is peppered with periods of time when I wasn’t sure I could be forgiven. I survived those times to realize that where Christ had forgiven me, I was unwilling to forgive myself and move forward. 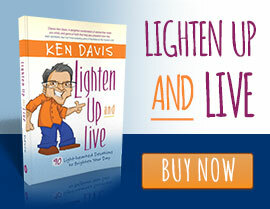 I want to reaffirm that God loves you “as you are” and affirm that most of us struggle occasionally with guilt. The courage and honesty of your response inspires me. The forgiveness and grace God offers each of us in Christ sustains me. If you come to WOF and I am privileged to be there, don’t you dare leave without saying hello. It was more then worth it for me to drive 5 hrs from MN the 5 hrs across the state to the Women of Faith in Milwaukee WI just to hear you and find out you were also from MN!! We watched your DVD Under the Influence that one of the ladies purchased on our way back to my g/f’s town 1 1/2 hrs away and we laughed until we were in tears once again! I’d just like to Thank You for the stress reliever! Loved it and loved your message!! Thank you for your comment. I showed my wife your comment about me being a stress reliever. She laughed! So YOU became HER stress reliever. I just have to say that I attended the WOF with some women from church, including both my sisters, my mother, two aunts, my oldest daughter, and a dear close friend. I do not remember laughing so hard with them in my whole life! I will be completely truthful, I am not sure where Istand in my walk with Christ. I felt as if the things God has been speaking to me about for several months was confirmed at the conference. Including my question of “is it ok to have fun? I know Christ suffered and that we will too, but what about fun?” The jury is still out on that! I attended Women of Faith in Milwaukee and heard you for the first time. I was there with 2 of my cousins. I have 2 1/2 yr old twins. One cousin has 3 girls, ranging in age from 3-8. The other cousin has twin 5 year olds, a 6 year old, and is getting married this weekend. You have no idea how good it was to get away for a weekend and just be women. We haven’t laughed that hard in a very long time – thank you for helping make our time so memorable. This was my 7th Women of Faith, one cousin’s 4th, and the other’s 1st. We already have our tickets purchased for next year. It’s a don’t miss event to encourage us and help us leave a legacy of Christ’s example to our future generations. This was my second year at Woman of Faith. Last year I was so impressed by the speakers how they spoke to every woman there no matter what the woman’s circumstance. This year if you were not a woman who has been married for years and a mother, this conference wasn’t for you. I have been married for years and have wonderful adult children, but two women sitting in front of me told me that they felt completely left out as one has never married and has been a business woman and another has had several failed marriages. One of the women I went with had tried to encourage her daughter of 31 to go. She said she was glad her daughter declined as she thought she would have felt worse about her life as she has struggled with relationships and career choices. Last year Marcus B. was amazing and spoke to every woman there, no matter what their circumstance.Shelia Walsh was amazing. This year Andy A. was hard to watch and never seemed to have a point other than plagiarizering from the 5 Languages of Love and the 7 habits of Highly Successful People. I did like the music much more this year. I do wonder if I will go back.